was reluctant at first but after a little pondering, my intention shifted from getting just the one Sandtrooper to maybe picking up the R2-D2. 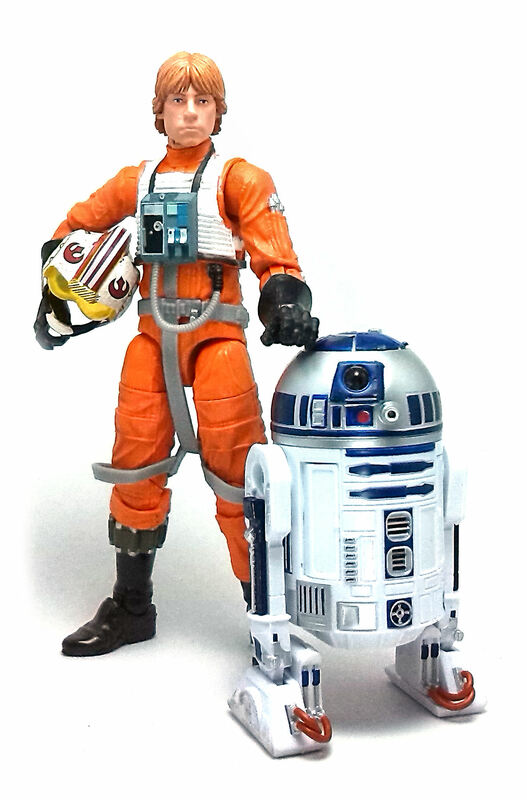 After several years of Hasbro made R2 units, I would lie if I were to say I was blown away by the larger scale version. It is a nicely detailed astromech, to be sure, and Hasbro crammed a good deal of features that would add a nice enough amount of variety to a display. To my eye, Black Series Artoo seems to be the proper size in relation to the regular sized human figures in this line. The sculpture displays all the paneling and markings we have accustomed to see in this droids, with only the foot detailing being noticeably improved because of the extra room afforded by the new scale. 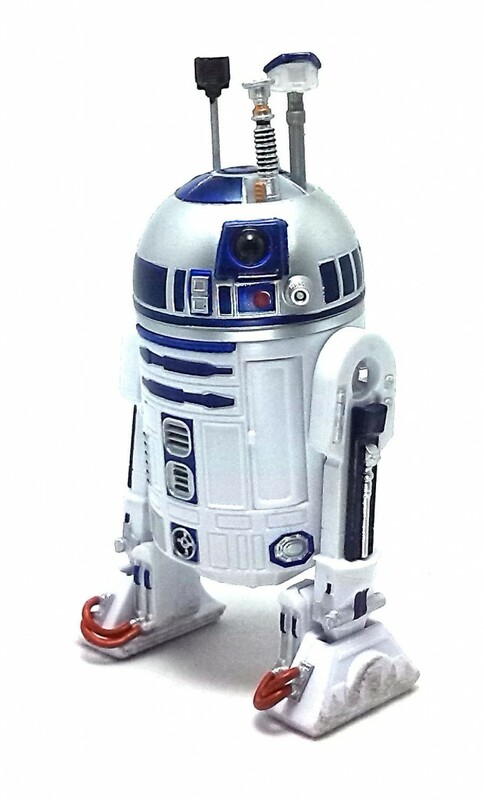 This R2 unit has some features we already have seen implemented on the character all across the Hasbro lines. The central foot lowers or raises as you turn the dome, there are a couple of panels on the droid’s chest that deploy a data probe and a pincer arm and three dome panels can be removed to place different accessories in them. These accessories are a lightsaber hilt, a periscope and a radar antenna. These extra bits are made from rigid plastic except for the lightsaber hilt, which is made of firm rubber. Two of the dome panels can be easily removed, but the one covering the lightsaber space is much harder to remove because it has a larger inner peg, and thus requires some more leverage to budge. There are also two sets of side panels for the legs, one for closed covers and one with the deployed thrusters we saw in the prequel movies. 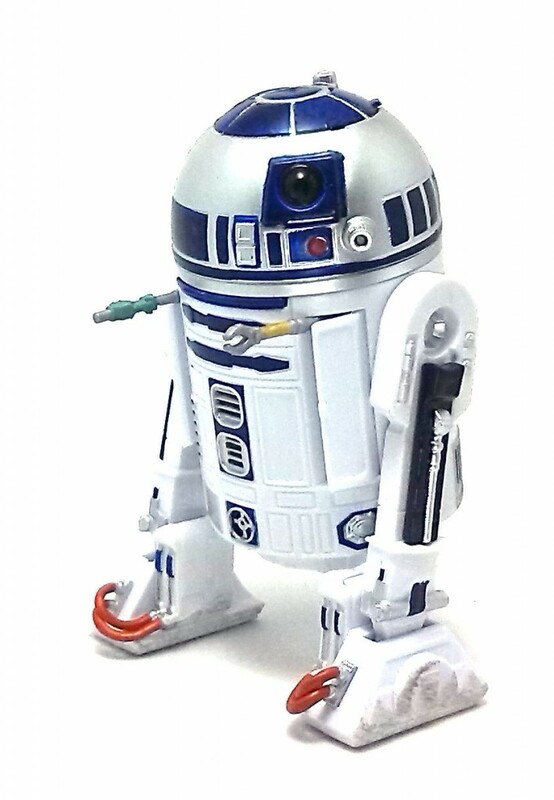 One difference I noticed is that in the Black Series Artoo, each feet has a pair of rolling pins underneath instead of wheels. 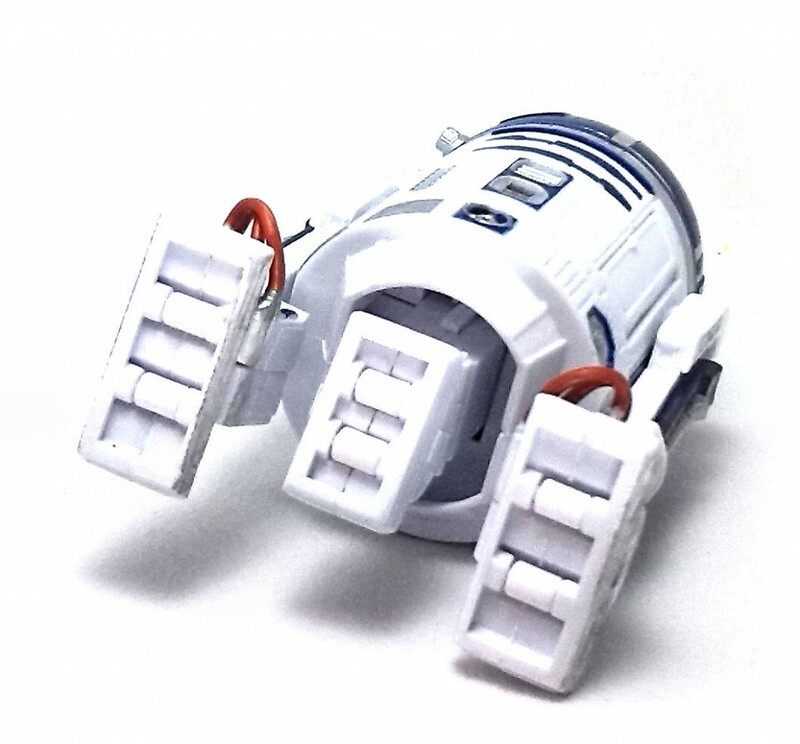 These rolls spin fairly well, but the material just doesn’t have enough traction to actually have the droid slide on a soft decline. 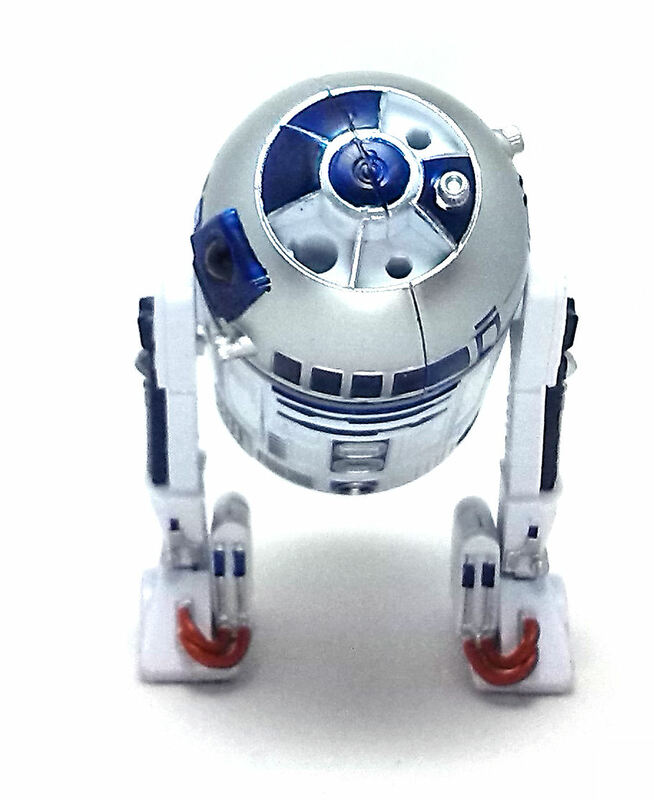 The paintjob on Artoo is also good, but not spectacular. 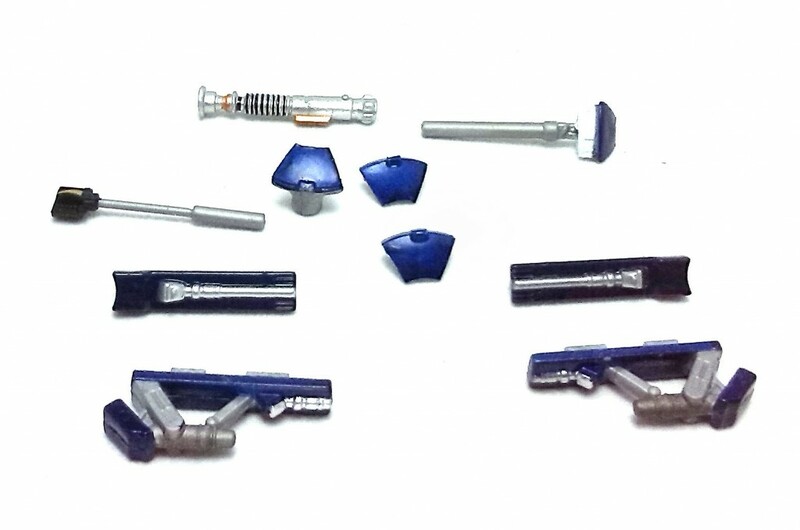 Hasbro decided to go for a fairly clean look this time, and thus, in addition to the solid blue and silver detailing, Artoo has a modest amount of weathering applied to the sides of the feet. 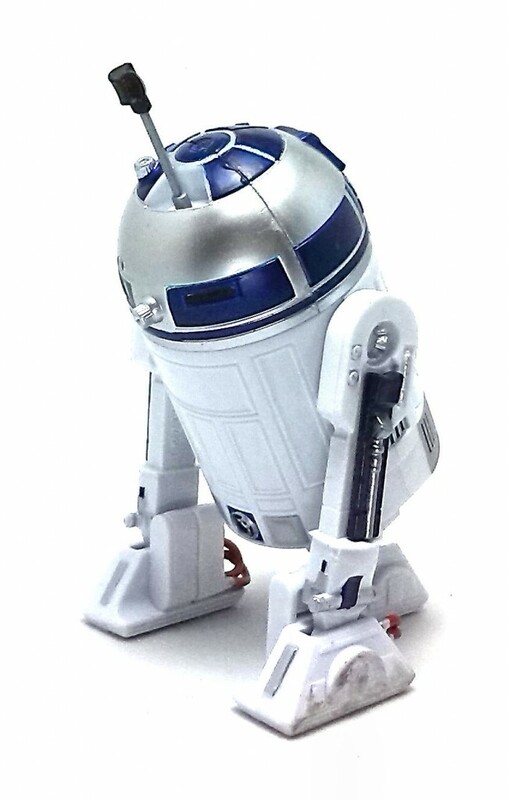 My only complaint about this toy is that the third legs deploys way too far down when you turn the head to it’s fullest. 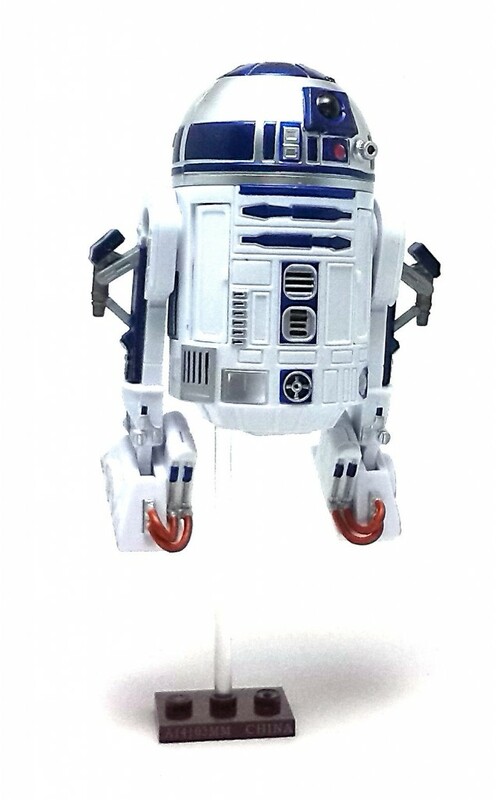 Not only it looks wrong but it is also a hassle to figure out the way R2 should be looking to have him display properly once the third leg height is adjusted. All nitpicks aside, I really don’t see much room for improvement with this R2-D2 (except maybe the addition of lights and sounds), and considering that is very unlikely that Hasbro would come out with a significantly different version of this droid in the near future, I am quite satisfied with the way this figure turned out.